Beef jerky treats for Wales Rally GB marshals | News by Wales Express News, People Before Profit! More than 2,000 marshals at the Dayinsure Wales Rally GB in North and Mid Wales are in for a treat at this year’s event, which runs from October 4-7. 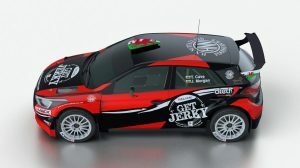 The Get Jerky’ branded Hyundai i20 R5 that will be driven by Tom Cave in the Dayinsure Wales Rally GB. 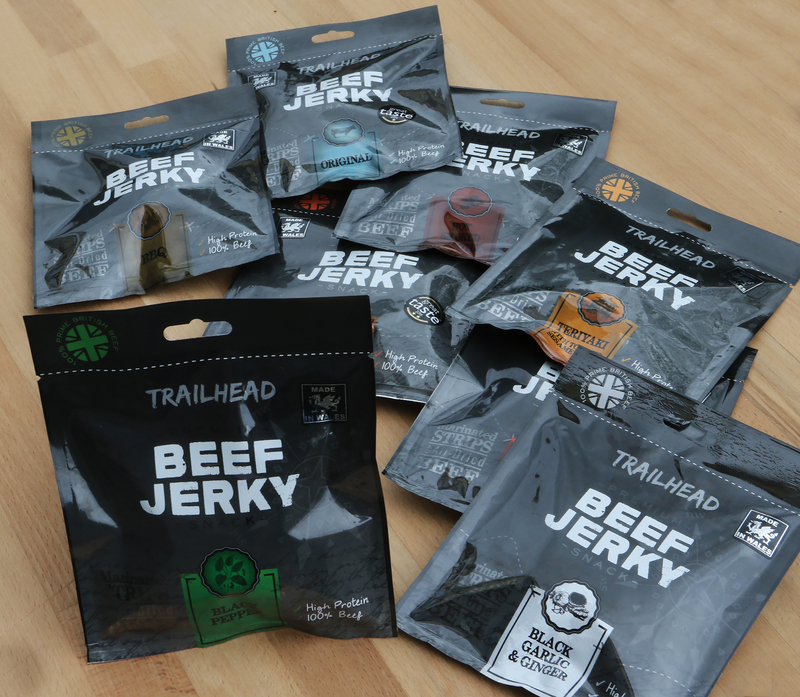 To help promote the award-winning ‘Get Jerky’ brand to a wider audience, Trailhead Fine Foods has agreed to supply a complementary pack of the beef jerky snack in a variety of flavours to each rally marshal. Samples of the beef jerky snacks will also be available from the Dayinsure Wales Rally GB office at Deeside service park throughout the event. In addition, Aberdyfi rally driver Tom Cave and co-driver James Morgan, from Hirwaun, will also be promoting the ‘Get Jerky’ brand on their Hyundai i20 R5 during the rally. Packs of Trailhead Fine Foods’ award winning beef jerky. Based in Welshpool, Trailhead Fine Foods won Great Taste Awards in 2016 for its premium Original and Spicy Chilli Beef Jerky flavours. Other exciting partnerships are in the pipeline for the ‘Get Jerky’ brand, which secured several promising sales leads at the Speciality and Fine Food Fair in London earlier this month. The company’s beef jerky is marinated strips of air-dried beef in a range of flavours as a high protein snack alternative to crisps, nuts and sweets. Only the leanest prime cuts of beef are selected and marinated in carefully blended ingredients for a minimum of 24 hours to allow the complete penetration of flavour into the meat. The jerky, which has no artificial flavours or preservatives, is then air-dried slowly for at least 12 hours to create a satisfying taste experience. People from all walks of life pursuing many diverse activities enjoy jerky.